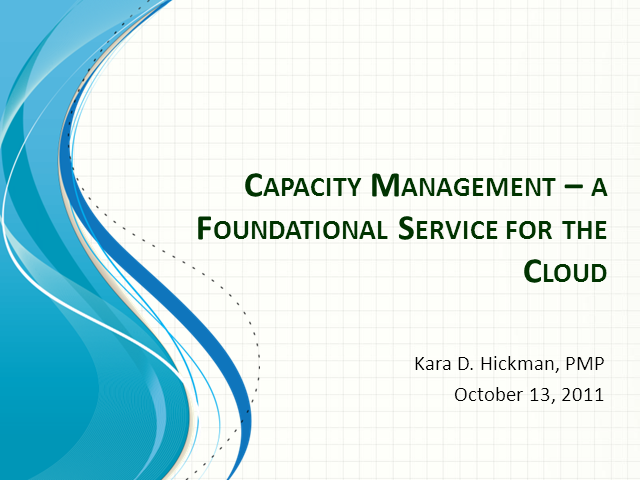 This presentation will be reviewing Capacity Management as a foundational element of a mature Cloud model. We will review what Capacity Management is and is not, the benefits and value of effective Capacity Management and the business drivers for employing a mature Capacity Management model as part of a transition to the Cloud. Common pitfalls and misconceptions will be reviewed as well as best practice components of a Capacity Management process and methodology, inclusive of reporting and KPIs. At the end of this presentation you should have a better understanding of why Capacity Management is such a foundational element of a Cloud transition that should be addressed prior to moving to the Cloud.